V.S. Avduevskii graduated from the Moscow Aviation Institute and worked on high speed aerodynamics and heat transfer at the Central Institute of Aviation Motors, the Keldysh Research Center, and the Center for Nonlinear and Wave Mechanics. He was an expert on aerodynamics and thermal processes of warhead and spacecraft reentry and on ablative heat shield materials. Avduevskii was involved in the design of heat-shields for the Venera landers, which had to employ materials that would retain thermal insulation properties under high pressure and temperature. He proposed atmospheric models for Venus based on the thermodynamic analysis of temperature, pressure, density and aerodynamic drag characteristics of the landers. G.N. 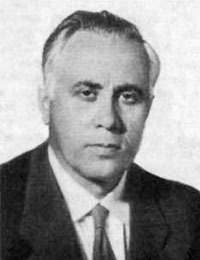 Babakin was one of the most respected designers in the Soviet space program. At NII-88 and OKB-301, he worked on surface-to-air missile targeting and control systems. OKB-301 was named after its late director, Lavochkin, and Babakin became its new head. 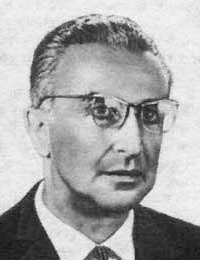 In 1965, Korolëv assigned Babakin and his bureau to develope all lunar and planetary probes. Applying sound quality-control methodology, this marked the beginning of success after success. Babakin's team designed and built Luna-9 to Luna-24, performing the first lunar landing, first lunar satellite, automated sample returns, and robotic surface rovers. Venera-4 was their first Venus mission, and the first in situ probe of another planet. They built the M-69 Mars probes (destroyed in launch mishaps), and Babakin oversaw the design of the second generation spacecraft and landers (Mars-2, Venera-9). Sadly, he did not survive to see those missions carried out. A crater on the Moon and one on Mars are named after him. V.P. 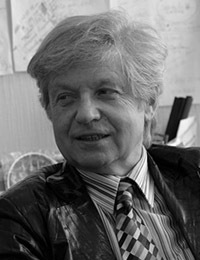 Barmin was a member of Korolëv's original council of chief designers. His bureau designed and built launch and fueling facilities for the space program and military, including mobile and silo-based ICBM facilities, the Moscow anti-missile shield and the launch pads at the Baikonur Cosmodrome. 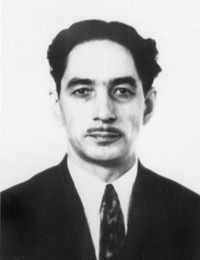 Later reorganized as the General Machine Building Design Bureau, Barmin worked for Afanasiev and was involved in the construction of advanced automated space research robotics. Barmin's division built the drilling apparatus on Luna-24, which returned the unique 1.6 meter core sample from the Moon. His team built the drilling soil sample apparatus used on Venera-11 to 14 and Vega-1 and 2. V.L. 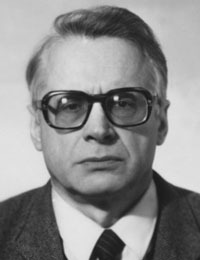 Barsukov was head of the Vernadskii Institute of Geochemistry from 1976 to 1992. With its emphasis on planetary geology, Barsukov lobbied for funding and oversaw particular missions and experiments, such as the geochemical analysis experiments on Venus landers and the radar mapping of Venus by Venera-15 & 16. 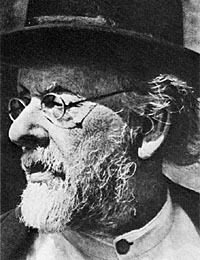 As a geochemist, Barsukov's personal research included techniques for discovery of rare metal ores, the analysis of Lunar samples, the thermodynamic and chemical equilibrium of the Venusian crust and atmosphere, and the planetary geology of Venus revealed by high-resolution radar mapping. A crater on Mars is named after him. 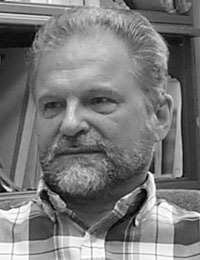 A.T. Bazilevskii has headed the Laboratory of Comparative Planetology at the Vernadskii Institute, since 1982. In 1968, he worked on landing-site selection for the Soviet manned lunar expedition. Subsequently, he did site selection and photographic interpretation for the lunar sample return missions (Luna-16,20,24) and for the Lunokhod rovers (Luna-17,23). 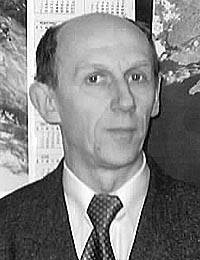 Bazilevskii is one of the world's leading experts on the geology of Venus and has interpreted the panoramic images and soil-mechanics data from Venera landers (Venera-9,10,13,14 Vega-1,2). He worked on photo interpretation and mapping from the Venera-15,16 orbital radar mapping missions, and was a guest investigator on the American Magellan, Voyager, and Mars Odyssey missions. Bazilevskii has been a research associate at Brown University and the Max-Planck Institute. An asteroid has been named after him. A.F. 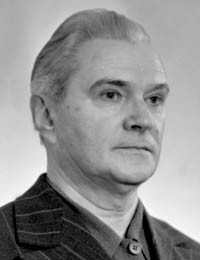 Bogomolov was head of the advanced radioelectronic bureau of the Moscow Energy Institute (OKB-MEI) from 1955 to 198?. He oversaw the development of the early Binokl' and Irtysh ranging systems and the Tral telemetry systems for missiles, satellites and early manned missions. His bureau developed the Molniia TV broadcasting satellites, the Venera-15/16 radar and ground-processing systems, and the telemetry systems for the Vega and Phobos missions. He also initiated the construction of the 64-meter TNA-1500 radio telescopes at Bear Lake (Medvezhii Ozera') and Kalyasin. Bogomolov's OKB-MEI and Riazanskii's Institute of Space Device Engineering competed fiercely in the area of space radioelectronics. E.Ia. 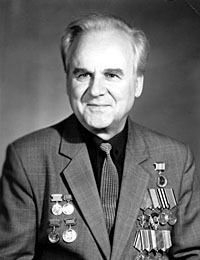 Boguslavskii was deputy to Riazanskii, at the Institute of Space Device Engineering, where he developed the telemetry systems on early lunar and planetary spacecraft. From the late 1940s, he worked on the development of optical and radio tracking and telemetry for Soviet missile systems, and his meter-band frequency-sweep ranging system was used to measure distances to early Lunar probes. 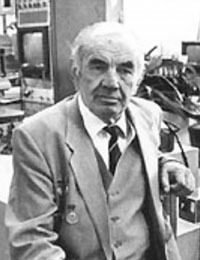 Boguslavskii designed the telemetry and video modulation portions of early cameras, beginning with the frequency-modulated video transmission system on Luna-3. He also developed the high-power pulse time modulation system for image transmission from Soviet Mars and Zond probes. P.F. Bratslavets headed the efforts to build the first cameras in space. 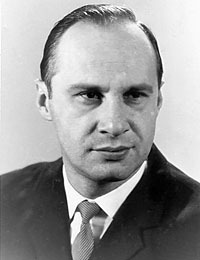 As head of the Leningrad Scientific Research Institute of Television (NII-380), his team produced two space television systems: the slow-scan video system, "Seliger", used to televise Gagarin on from orbit, and the "Enisei" camera on Luna-3, which first photographed the far side of the Moon. His team also built the complex camera system for Mars-1 and the Baikal camera for the Zenit surveillance satellites. He also helped to develop early Soviet weather satellites and early-warning defense satellites. V.N. Chelomei was Korolëv's biggest competitor, a mathematician who began his career working on cruise missiles. Interested in a large variety of projects, his OKB-52 design bureau grew to be larger than Korolëv's. From space stations to manned interplanetary craft, Chelomei dazzled people with his bold plans. The important Proton rocket was his UR-500, part of a family of universal rockets that ranged from ICBMs to a never-built Moon rocket. Supported by Khrushchev (whose son worked in OKB-52) and Brezhnev, for a time Russia virtually funded two rival space programs. Sh.Sh. 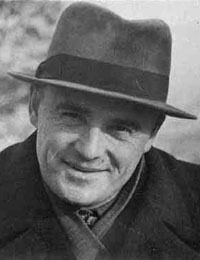 Dolginov was the first head of the Space Magnetic Research Laboratory, at the Institute of Terrestrial Magnetism (IZMIRAN). He was involved in mapping the Earth's magnetic field using specially constructed nonmagnetic ships, but in 1956 he met Korolëv and his laboratory began the design of the first magnetometer in space, on Sputnik-3. Dolginov was first to discover that the Moon lacks a magnetic field, from measurements made with the first Luna probes. His magnetometers became part of the canonical set of remote sensors on Soviet spacecraft. He mapped the Earth's field with Kosmos-26 and Kosmos-49 satellites, and proposed theoretical mechanisms for the Earth's internal dynamo. K.P. 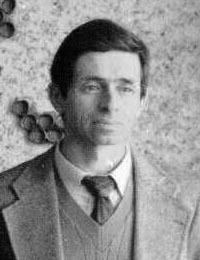 Florenskii was one of the Soviet Union's foremost planetary geologists. He joined Vernadskii's institute of geochemistry in 1935, working with its namesake and with A.P. Vinogradov. In 1958, he led an expedition to study the site of the 1908 explosion in Tunguska Siberia, believed caused by a meteor or comet impact. In later years, he studied meteor impacts and their consequences on the geology and atmosphere of planets. In the early 1960s, he planned some of the first experiments to chemically analyze the atmosphere of Venus. In 1967, Vinogradov asked him to organize a Department of Lunar Geology at IKI, where his team worked on landing site selection for manned and robotic missions. In 1975, his lab returned to the Vernadskii Institute. He was involved in the study of the rock samples returned by Luna-16,20,24 and planned remote experiments on the Lunokhod rovers. 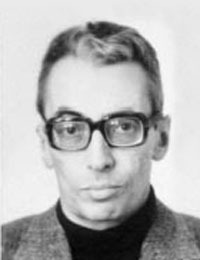 Florenskii developed theories of planetary geology and interpreted the imagery from the Mars-5 orbiter and the Venera-9 lander. A crater on the Moon is named after him. Iu.A. Gagarin was born on a collective farm in Smolensk and grew up to become the first man in outer space. A skilled fighter pilot, he was personally picked by Korolëv to be the first of the newly trained cosmonauts to orbit the Earth. Vostok-1 took off on April 12, 1961. Promoted to Colonel and Hero of the Soviet Union, he became actively involved in the training of cosmonauts at the center in Star City, which today bears his name. He was killed in the crash of a training flight in 1968. A crater on the far side of the Moon was named after him. Iu.M. Gektin has designed the optico-mechanical camera systems for Venera, Mars and Earth-resource probes and satellites since the early 1970s. These include the orbiter and lander cameras on the historic Venera-9 mission, and the MSU-SK and MSU-E cameras used on the Resurs series of satellites. He works at the Institute of Space Device Engineering (RNII KP). V.P. Glushko began working on rocket motors in the 1920s in Leningrad, and later merged his Gas Dynamics Laboratory with Korolëv's research group in Moscow. Like Korolëv, Glushko was arrested during the purges. During the 1950s and 1960s, Glushko's design bureau, OKB-456, built the rocket motors for both the R-7 and the Proton. 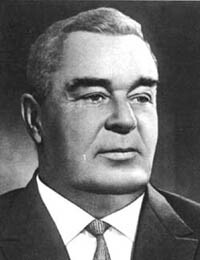 After Korolëv's death and Mishin's failed Moon-rocket project, Glushko became head of OKB-1. After gaining membership in the Central Committee of the Communist Party, he was also able to absorb most of Chelomei's bureau as well. Glushko's powerful organization became what is today the Cosmic Rocket Corporation, Energiia. A crater on the Moon is named after him. K.I. Gringauz was the first to measure the Solar Wind, which at the time was a controversial new theory. In the late 1940s, Gringauz used ground-based radio interferometry and phase-locked radio transmission from rockets, to study electron density of the ionosphere. He built the dual-frequency radio transmitter for Sputnik-1. Ion traps onboard Sputnik-3 measured the energy spectrum of interplanetary plasma, and similar devices on Luna-1 and Luna-2 detected the constant flow of solar plasma. Experiments on Venera-1 and Mars-1 verified the existence of this flow throughout the solar system, and helped to map the structure of the Earth's plasmasphere. Gringauz' plasma sensors became part of the canonical set of remote sensors onboard virtually all Soviet spacecrafts, including the Vega encounters with Halley's comet. A.M. Isaev was a leading rocket-motor engineer and head of the Chemical Machine-Building (KhimMash) Design Bureau. During the 1940s, he developed more efficient designs for combustion chambers and fuel injection. In 1950, Isaev began the research and development of the first close-cycle rocket engines, in which partial combustion of fuel drives the fuel and oxidizer turbine pumps. He also solved one of the most difficult and dangerous problems in rocket motors, a dampening system to prevent self-induced oscillation in the combustion chamber. Another unique design from KhimMash, used in some Soviet ICBM's, was the immersion of the rocket motor directly in the liquid propellant tank. For project MV, the first planetary probe, Isaev agreed to build the mid-course correction system. Venera-1 to Venera-8 all contained his KDU-414 engine, the next generation of Mars and Venus probes used the more powerful KTDU-425, and his team built the landing retrorockets for Luna-9 to Luna-24. A crater on the far side of the Moon is named after him. V.G. Istomin graduated in 1953 and did early work in atmospheric science with B.A. Mirtov. They were among the first to apply the new light-weight Bennett quadrapole mass spectrometer. He used radio frequency mass spectrometers to probe the ionosphere with geophysical rockets, and in 1963 discovered the presence of metal ions originating from vaporized micrometeorites. Istomin's mass spectrometer on Sputnik-3 was the first to be flown on a spacecraft. While at the Space Research Institute (IKI), he designed experiments to analyze the mass spectra of the Martian and Venusian atmospheres on the descent vehicles of Mars-3, Mars-6 and Venera-11 to Venera-14. Mass spectrometry on satellites (such as Kosmos-1809) investigated the composition of the ionosphere, which contains many exotic ion species. O.G. Ivanovskii is one of Russia's foremost spacecraft designers. As one of Korolëv's first engineers, Ivanovskii helped build Sputnik-1. He was the chief designer of the Vostok spacecraft, which carried the first man into space. In 1965, He joined Babakin at NPO Lavochkin, where he was head designer of lunar probes. He built Luna-16 through Luna-24, which included the sample-return missions and the Lunokhod rovers. His final project was the Astron space telescope, which functioned for 8 years in high Earth orbit. Over 80 today, Ivanovskii manages the Lavochkin Museum. M.V. Keldysh was noted for the brilliant and elegant application of mathematics to difficult problems. In the 1930s, he worked on aerodynamic engineering problems such as destructive oscillation and problems in supersonic aerodynamics and rocket propulsion. 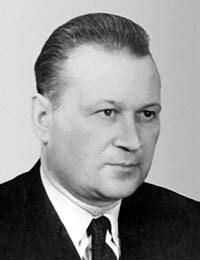 From 1946 to 1961, he was head of NII-1 (Glushko and Korolëv's original rocket research group before their arrest), which is now named the Keldysh Research Center. Keldysh and Korolëv were co-chairmen of the 1954 committee to design Object-D (Sputnik-3). From 1953, he was also head of the Institute of Applied Mathematics, later named after him. In 1961, he was elected president of the Soviet Academy of Sciences. 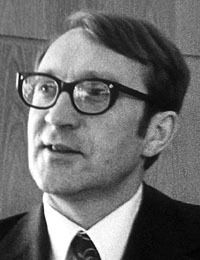 Keldysh became the "Chief Theorist" of the Soviet space program, and directed and focuses scientific effort on space, nuclear weapons design and computer technology. An asteroid and a lunar crater are named after him. A.L. 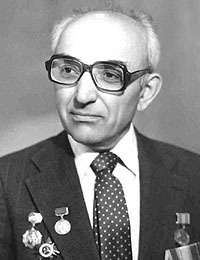 Kemurdzhian was head of the Space & Robotics Division of VNII-TransMash and designer of the remarkable Lunokhod rovers. Work on the Lunar rovers began in 1963, and they spent months exploring the Moon in 1970 and 1973. He designed a small ski-walking rover for the 1971 and 1973 Mars landers, and he built instruments for the Fobos hopper/lander. Kemurdzhian and his team build penetrometers for the physico-mechanical analysis of rock and soil, used on Luna-13, Lunokhod, Mars-2,3,6,7, Fobos-1,2 and Venus landers from Venera-11 to Vega-2. His model STR-1 robot helped in the hazardous cleanup of the Chernobyl accident. V.V. 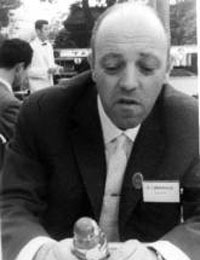 Kerzhanovich is a graduate of Moscow State University (1961), and afterwards worked on the radio telemetry and tracking systems of Soviet planetary probes. Beginning with Venera-4, he made the first direct measurements of turbulence and the superrotation of the Venusian atmosphere, using radio doppler shift. This technique was continued and refined on Mars-6 and all Soviet Venus landers up to Vega-2. 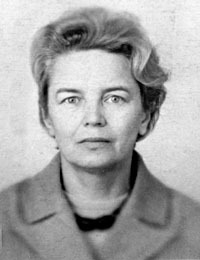 Kerzhanovich was a designer of the doppler and differential interferometric tracking system used to measure the Vega balloon movements in the Venusian clouds. He worked with V.M. Linkin on possible future balloon aerobot missions to Venus, Mars, and Titan; and he now continues this research at the Jet Propulsion Laboratory. S.P. 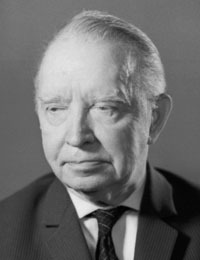 Korolëv was the "Chief Designer" of the Soviet space program. 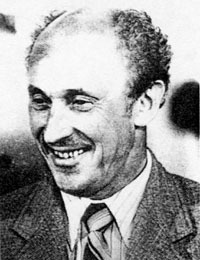 In the 1930s, he became the leader of a research group in Moscow that launched the first liquid-fueled rocket in Russia. 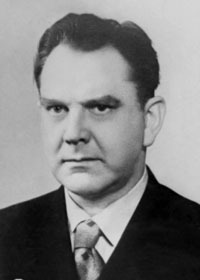 Arrested during Stalin's purges, Korolëv was released at the end of the war to help study the German V-2 and develop new missiles. His technical and management talents earned his promotion to head of the OKB-1 design bureau. In 1953, development began on an ICBM capable of delivering the 5-ton Soviet H-bomb. The resulting R-7 missile was never widely used as a weapon, but its enormous power allowed Korolëv and friends to pursue their life-long passion for space exploration, beginning with the launching of Sputnik-1 in 1957. He went on to launch the Electron and Kosmos scientific satellites, the Molniia communication satellite, and deep space probes to the Moon, Mars and Venus. Craters on the Moon and on Mars are named after him. V.A. 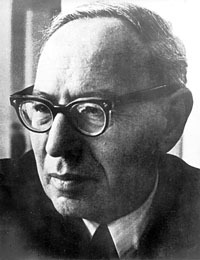 Kotel'nikov is one of the principal architects of modern communications theory. 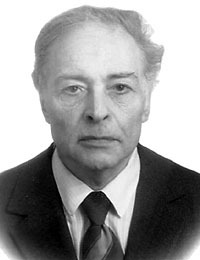 In a career spanning over 70 years, Kotel'nikov formulated the theory of sampling in 1937, worked on cryptography, and developed techniques for optimum noise-reduction in communications. As head of OKB-MEI until 1955 and leader of other institutes, he worked on numerous radio communication and radar systems, from the earliest missile tracking and telemetry systems to the Venera-15 and Venera-16 synthetic-aperture radar mapping mission. He was also involved in one of the first radar investigations of Venus, in 1961. Honored in the Soviet Union and in the West (an IEEE Life Fellow), an asteroid is also named after him. V.A. Krasnopol'skii is a leading expert on spectroscopy and the chemistry of planetary atmospheres. He graduated in 1961 from Moscow State University, and built some of the first planetary experiments onboard spacecraft, there with A.I. Lebedinskii. These included gamma-ray detectors and UV spectrometers on nearly every planetary probe starting with Mars-1. At the Space Research Institute (IKI), he continued this work on Mars-5, Venera-9, Vega, and Phobos and the UV spectrometer on the American Voyager mission. 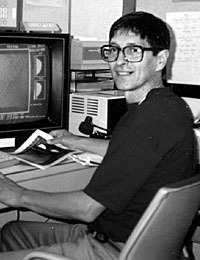 His work has included the first satellite survey of the Earth's ozone layer, the first observation of airglow and lightning flashes on Venus, analysis of the atmosphere and the evolution of water on Mars, the UV spectroscopy of Triton, and the recently discovered infrared windows though the clouds of Venus. He is now a professor at the Catholic University of America. L.V. Ksanfomaliti graduated from the Leningrad Technical University in 1956, and after working at the Abastumani Observatory, he joined the Space Research Institute (IKI) in 1968. He is Chief of the Laboratory on Photometry and Thermal Radiometry. Mars-3 to Mars-7 included thermal, visual and ultraviolet radiometers of his design. During the Venera-9 and 10 mission, he worked on infrared and ultraviolet spectroscopy and imaging, helping to analyze the structure and dynamics of the Venusian clouds. His famous GROZA sensors on Venera-11 to Venera-14 were the first devices to detect intense lightening storms on Venus. Ksanfomaliti has continued his work on infrared spectroscopy and the study of cometary dust, with the Vega mission to Halley's comet and the 1988 Fobos mission to Mars. Recent work has included study of water and possibilities of life on Mars, and a new Earth-based imaging technique has produced images of unseen portions of the surface of Mercury. V.G. Kurt began his research measuring the density of the Earth's exosphere by the diffusion of ionized sodium, released in space to form artificial comets. He discovered the existence of Venus' hydrogen corona with the ultraviolet spectrometer onboard Venera-4, and continued the analysis of interplanetary gases on subsequent Venus, Earth-orbiting and Mars missions. His work has helped to map the clouds of interstellar gas that pass through the solar system. Kurt was a principle investigator of the Venera-11 and 12 missions, and the seven-year mission of the Astron orbiting telescope. Using Venera crafts and Earth-orbiting satellites, he located the origins of a number of mysterious gamma-ray bursts. Kurt was involved in the planning of the Vega missions and was the first to propose that a Venus mission could also rendezvous with Halley's comet. He joined the Space Research Institute (IKI) in 1967, becoming head of UV, X-Ray and Gamma-Ray Astronomy until 1991, when he joined the Lebedev Physical Institute as a Deputy Director. A.D. Kuz'min is a leading radio astronomer, a chief researcher at the Lebedev Physical Institute and a senior fellow at Caltech. Kuz'min has led the investigation by radio and radar of the Moon and planets, and has done extensive work on the radio astronomy of pulsars. This has included the measurement of planetary atmospheric pressure and temperature, the determination of surface roughness and dielectric constants, levels of polar molecules like water and ammonia, and the determination of more precise orbital trajectories. In collaboration with B.G. Clark, he measured limb polarization of thermal radio emission from Venus, considered the first conclusive proof that the planet's surface was extremely hot. Kuzmin worked on the radio telescopes carried by the spacecrafts Mars-3 and Mars-5. A.I. 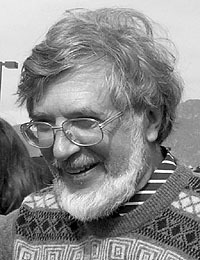 Lebedinskii was a leading theoretical astrophysicist. During the 1940s, Lebedinskii worked on convection and magnetohydrodynamics in the Solar atmosphere, explaining the formation of sunspots. He also worked on the theory of variable stars and nova explosions, explaining the latter as thermonuclear detonation of outer shells of dense stars. 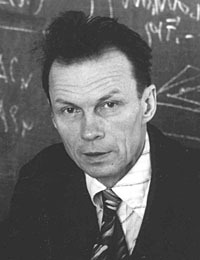 His work on the condensation and dynamics of the proto-planetary nebula was a precursor to the work of Viktor Safronov, and he proposed an atmospheric circulation model for Mars. In the 1960s at the Institute of Nuclear Physics at Moscow University, he built some of the earliest scientific sensors for spacecraft. These included Venera-1, Mars-1, Zond-1 to 3 and Luna-9 to 13. A crater on the far side of the Moon bears his name. A graudate of Moscow State University in 1961, V.M. Linkin is a head researcher at the Institute of Space Research (IKI). He worked with V.I. Moroz on the Venera-15/16 Fourier infrared spectrometer and the analysis of atmospheric dynamics in the polar region of Venus. Linkin was a principal investigator on the Vega missions to Venus and Halley's comet, where he designed its balloon probe system. This gathered valuable information about atmospheric dynamics in the equatorial zone of Venus. More recently, Linkin has worked on many projects: the Marsokhod rover; the Mars Microphone experiment on NASA's polar lander; the Cosmos 1 solar sail mission; the 1994 Pluto study; designs for a Mars balloon-born probe; the Lavoisier mission, an ESA project to send new landers and balloons to Venus; and the MARSES project, a joint Russian, ESA, JPL project for transient electromagnetic sounding of Mars to search for ice and water. G.Iu. Maksimov joined OKB-1 in 1957 and was soon regarded as one of the most brilliant intellects of the Soviet space program. 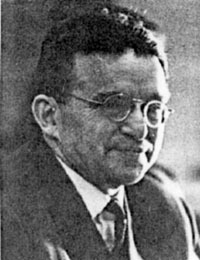 Impressed by his initial design concepts, Korolëv placed Maksimov in charge of the development of the Luna-1, Luna-2 and Luna-3 probes. After their success, Korolëv asked Maksimov to study the problem of sending spacecraft to Venus and Mars. Maksimov showed that by launching from orbit, the planetary payload could be increased from 200 kg to 1000 kg, and he successfully argued that planetary probes must carry high-gain antennas and course-correction engines. His team designed the first Mars and Venus probes, 1M and 1VA (Venera-1), which were the first to embody all these features of the modern spacecraft. Following the experiences and lessons of Venera-1, Maksimov began the design of a standardized MV (Mars/Venus) probe, which would be the template for planetary spacecrafts for the next ten years, from Mars-1 to Venera-8. His team also designed the E-6 spacecraft, which began attempts at Lunar soft landing in 1963. Maksimov designed a never-built heavy interplanetary vehicle (TMK) which included nuclear reactors, ion engines and hothouses for growing vegetation and regenerating the atmosphere. 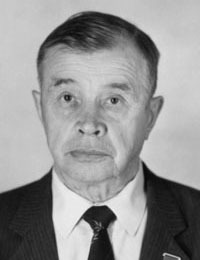 After planetary probe design was transferred to Lavochkin, Maksimov joined the Space Research Institute (IKI) in 1968, where he received a candidate degree (PhD). 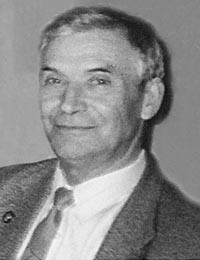 In 1975, he joined VNIIEM, and he taught at the Moscow High Technical School (MVTU). M.Ia. 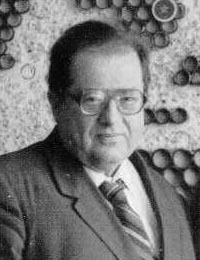 Marov began work in Korolëv's bureau in 1958, and joined the Keldysh Institute of Applied Mathematics in 1962, where he is today the head of the Department of Planetary Physics and Aeronomy. His work has focused on the hydrodynamics of planetary atmospheres, and he has supervised missions and experiments on probes to the Moon, Mars and Venus. He developed the first thermodynamic models of the Venusian atmosphere, beginning with the analysis of Venera-4's results. On Venera-9, his nephelometry experiments provided the first structural map of the cloud layers, and the analysis of cloud-particle properties from multiangle scattering. He developed a model of the Martian atmosphere based on the first direct measurements by Mars-6 in 1973, and he analyzed the rarified gas dynamics of Halley's comet from data gathered in the Vega mission. 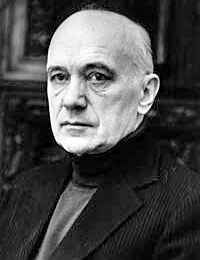 Dr. Marov is one of the great communicators of the Soviet space program, authoring hundreds of papers and numerous books on the physics of planets. He teaches at the Moscow Physico-Technical Institute and at North Carolina State University, where he is adjunct professor. An asteroid has also been named after him. V.V. Mikhnevich was one of the first to build and deploy instruments for the exploration of outer space. A department head at the Institute of Applied Geophysics in Moscow, she began her career measuring the physical properties of the upper atmosphere and space via geophysical rockets. Two different types of vacuum pressure gauges onboard Sputnik-3 were designed by Mikhnevich to measure the density of gas in the ionosphere and exosphere. The temperature, pressure and density sensors on early Venus landers gave the world its first in situ measurements of conditions on that planet, and similar experiments were also designed for the early but unsuccessful Mars missions. V.I. Moroz began work at the Alma-Ata Observatory in 1954, doing IR spectroscopy with newly invented cooled photoelectric detectors. His work continued at the Sternberg Astronomical Institute and later at the Space Research Institute (IKI) where he became Department Head of Planetary Investigation. Moroz was one of the first to discover by spectroscopic analysis the very low atmospheric pressure on Mars. He was involved in some of the earliest astrophysical experiments onboard spacecraft, beginning with an IR spectrometer on Mars-69 and experiments on subsequent missions to Mars, Phobos and Venus. Visible and IR spectrometry on landers, starting with Venera-8, today form the bulk of our knowledge about the radiative balance of the Venusian atmosphere and clouds. L.M. Mukhin worked at the Space Research Institute (IKI) with V.I. Moroz, developing theories on the formation of planets and early atmospheres and on the chemical origin of life. He was the designer of the SIGMA series of gas chromatography experiments on the Venus landers Venera-11 through Vega-2. He also designed the X-ray fluorescence and particle-size spectrometers on the Vega landers, and the alpha-particle backscatter analyzer on the Fobos LAS landers. After teaching for a time at the University of Maryland, Dr. Mukhin returned to Russia as deputy director of the Institute of Terrestrial Magnetism, Ionosphere and Radio Wave Propogation (IZMIRAN). T.N. 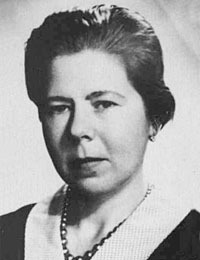 Nazarova joined the Geophysics Institute of the Soviet Academy of Sciences in 1948, and moved to the Vernadskii Institute of Geochemistry in 1962. Early in her career, she worked on R-1, R-2 and R-5 sounding rockets, studying high-altitude wind with smoke bombs and on the first micrometeorite sensors on Soviet geophysical rockets. She designed the piezoelectric sensors for Sputnik-3, the first Luna probes and Venera-1. On Mars-1, Nazarova developed a scheme for using the solar panels as large micrometeorite detectors. Her experiments became part of the canonical set of remote sensors installed on nearly every Soviet spacecraft. This data ended early fears that meteoroids might damage or destroy interplanetary spacecrafts. V.G. 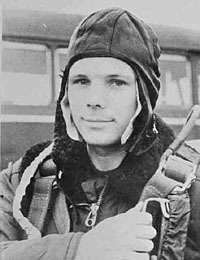 Perminov graduated with distinction from the Kazan' Aviation Institute in 1954, and began work at the OKB-301 design bureau, later named after its head, S.A. Lavochkin. 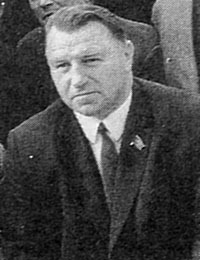 Perminov was part of a 15-man team of engineers designing a space plane, but that forward-looking project ended after Lavochkin's death in 1960. 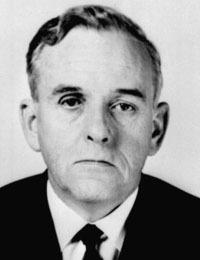 In 1965, control of spacecraft design was transfered to Babakin, and Perminov was actively involved in the design of Mars-2 to Mars-7 and Venera-4 to Venera-16. He was the director (Tekhnicheskii Rukovoditel') of the Vega-1 and Vega-2 missions. He has written a number of historical articles about the Soviet space program, including The Difficult Road to Mars. 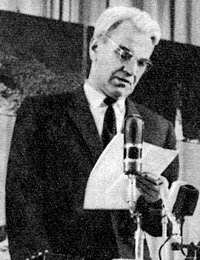 B.V. Raushenbakh began his career in 1936 with NII-1, later named the Keldysh Research Center. As an ethnic German, he was interned during WWII. After returning to his job, he first worked on a cruise missile project. 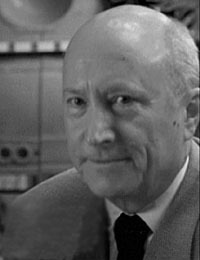 In 1954, he initiated a group to study oriented satellites, and with associates Eugeni Bashkin and Dmitri Kniazev", he designed the sensors, electronics and gas microjets for the attitude control system of Luna-3. This was the world's first three-axis stabilized spacecraft. He went on to design the attitude control system for the Vostok and later manned spacecraft, Mars and Venus probes, and the Molniia television satellite, which was the first use of power flywheels. 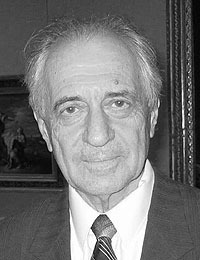 In addition to his technical work, Raushenbakh was a leading Russian art historian. O.N. Rzhiga is one of Russia's leading experts in radar astronomy, synthetic aperture radar and signal processing. In the early 1960s, working with the new deep-space radio system in Evpatoriia, he did some of the first Earth-based radar sounding of the Moon, Mercury, Venus, Mars and Jupiter. He performed the analysis that recovered the weak signal of Venera-7 after its landing. Rzhiga designed the synthetic aperture radar systems on Venera-15 and Venera-16. From 1983-84, they produced the first high-resolution radar images of the Venusian surface, mapping the northern cap of the planet. More recently, he has worked on radar mapping of the Earth from space stations and satellites. M.S. 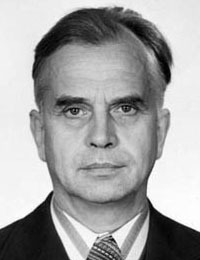 Riazanskii was the head of the Institute of Space Device Engineering (RNII KP) from 1954 to 1987, and a member of Korolëv's original council of chief designers. His bureau built the guidance system for the R-7 rocket, and the telemetry systems for Luna, Venera, Mars, Vega and Fobos spacecraft. They constructed the antennas and radio systems for the Pluton, Saturn and Kvant deep space communication ground stations at Evpatoriia, Ussuriisk and other stations. His bureau also designed radar altimeters and space camera systems for all lunar and planetary probes. R.Z. 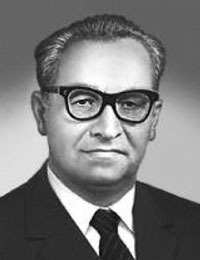 Sagdeev is known for his work on plasma physics, shock waves and space plasmas. As director of the Institute of Space Research (IKI) from 1973 to 1988, Sagdeev was involved in the second generation of space probes and directly managed the international missions of Vega and Fobos. Sagdeev separated atmospheric and space studies from planetary geology, with returned to the Vernadskii Institute (GEOKhI). IKI and GEOKhI became the dominant and competative centers of planetary science. Sagdeev is a professor at the University of Maryland today. 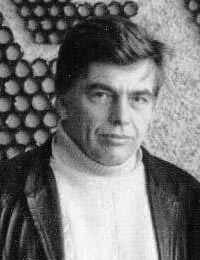 A.S. Selivanov has been the primary designer of cameras and camera telemetry systems for Soviet spacecrafts since the mid 1960s. Working at the Institute of Space Device Engineering (RNII KP), his first camera was onboard Zond-2 and 3, and was six times lighter than the Mars-1 system. It completed the photography of the far side of the Moon. Selivanov designed precision optico-mechanical cameras, which produced historic panoramic images from the first Lunar lander and the first camera on the surface of Venus. He was the first to use linear cameras from orbiting spacecrafts to sweep out large images of planets, not limited by the size of a two-dimensional image sensor. These were used to scout for possible landing sites on the Moon and performed the first long-term study of cloud dynamics on Venus, from the Venera-9 orbiter. His last planetary camera system took thermal infrared images of Mars from the Fobos-2 orbiter. Iu.A. Surkov has headed the Planetary Geochemisty Lab at the Vernadskii Institute since 1961. He is famous for the in situ analysis of planetary atmospheres and surfaces, beginning with the gamma-ray spectroscopy of the Moon from Kosmos-60 and Luna-10, and the analysis of rocks returned by Luna-16, 20 and 24. In the hostile environment of Venus, Surkov has studied the atmosphere, clouds and surface minerals with gamma-ray spectrometers, mass spectrometers, gamma-ray densitometers, and the X-ray fluorescent analysis of cloud and soil samples. Gamma-ray spectrometry and neutron analysis continued with experiments on Mars and Fobos missions. K.E. Tsiolkovskii is considered the "Father of Cosmonautics" in Russia. In the late 19th century, Tsiolkovskii turned his genius from airships to space travel. He proposed the liquid-fueled rocket and considered the use of liquid oxygen and liquid hydrogen. He also worked on the problem of landing automatic probes on other planets. Tsiolkovskii created the idea of specific impulse and derived the formula for final velocity in terms of exhaust velocity and the proportion of fuel in the mass of a spacecraft. He also proposed the use of multistage rockets, both in tandem and parallel clusters. A crater on the far side of the Moon is named after him. O.L. Vaisberg graduated from the Moscow State University in 1957, with a degree in astronomy. He received a PhD in 1964 for his work on the spectroscopy of the auroras. In 1976, he became the head of the solar wind laboratory at the Space Research Institute (IKI). Vaisberg is a pioneer of research into the nature of the solar wind interaction with planets. He designed energy/mass spectrometers which were deployed on M-69, Mars-2,3,5 and Venera-9,10. These coordinated with his spectrometers in Earth orbit on Prognoz satellites. He was the principle investigator of dust experiments on the Vega missions to Halley's comet. S.N. 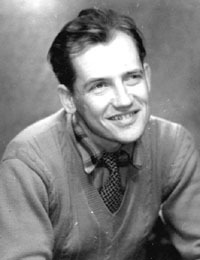 Vernov was one of the first to study cosmic rays using balloon probes in the stratosphere in the 1930s. At the Institute of Nuclear Physics at Moscow University and the Lebedev Physical Institute, he developed novel instruments for measuring primary cosmic rays and detecting muon and pion decay products. Starting with Sputnik-2, Vernov has flown a variety of cosmic-radiation sensors on lunar and planetary probes and countless satellites, becoming part of the canonical set of remote sensors on Soviet spacecrafts. His experiments on Sputnik-3 discovered the outer radiation belt, and the early Luna and Venera probes went further to measure he outer boundary of the magnetosphere. A.P. 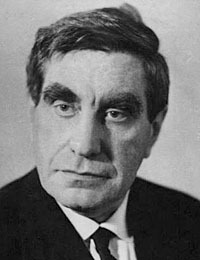 Vinogradov was the Soviet Union's leading geochemist, head of the Vernadskii Institute from 1947-1975 and Vice President of the Academy of Sciences. He pioneered the use of chemical and isotopic analysis to study the formation of terrestrial minerals and meteoric material. With the coming of space technology, he proposed the use of gamma-ray spectroscopy to study the makeup of planetary crusts. 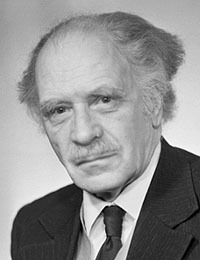 During his leadership, the Vernadskii Institute designed many of the experiments on lunar and planetary probes. A mountain and a crater on the far side of the Moon bear his name. Special thanks to Aleksandr Bazilevskii, Vladimir Krasnopolskii, Leonid Ksanfomaliti, Vladimir Kurt, Arkadii Kuz'min, Mikhail Marov and Oleg Rzhiga for helping me to find photos and biographies.